EHC minimizes change orders for our clients by thoroughly analyzing a project based on our local knowledge, experience and plans for the project. We provide our clients with detailed estimates and bids which include product and resources through our pre-construction services. We then measure the success of each project by tracking the schedule, costs and production in order to complete a project on time and within budget. EHC clients enjoy the ease and peace-of-mind of working with us because we prove time and time again that quality counts. EHC recognizes and manages our business by the philosophy that the best opportunity for success is to develop a clear and efficient path to the completion of every project we do. This process starts by listening and understanding our client’s objectives and developing a schedule that reaches those goals. Creating and effectively conveying this plan is paramount to the success of the project. Throughout the project, this schedule is not only used to track progress, but also to expedite decisions and remove obstacles so that our collective goals are kept clearly in sight and not jeopardized. When changes arise, we proactively and expeditiously address them and utilize the schedule to either develop a recovery plan or convey the impact those changes may have on the project goals. We have found this process to be appreciated greatly by our clients as it directly translates to improvements in your bottom line. EHC drive the schedule through effective communication. We conduct regular meetings and correspondence. And we don’t just communicate – we track action items and assume responsibility where necessary. EHC team members are available and timely in our responses because we understand the urgency required for our clients and your projects. When you work with us, communication is crucial because you are a valued and respected member of the project team whether as a client, partner or preferred vendor. Utilizing computerized estimating, accounting, scheduling and productivity systems, EHC can deliver your construction projects on time and within budget. EHC tracks all aspects of a project through our technology, allowing us efficiently and effectively manage a project and make real-time adjustments. We continually leverage technologies and systems to provide the best quality solutions for our clients. With hundreds of years of combined experience in the construction industry, you can say the EHC team is most definitely qualified for a wide range of projects. EHC team members combine their strengths, talents, personalities, and backgrounds to work together as a team for our clients. We are planners and problem solvers by nature who manage the whole site from start to finish which is why we have satisfied, repeat clients throughout the region. In addition to our internal team, we hold our partners and preferred vendors accountable to the same values of Honesty, Integrity, Quality and Competency at all times. We only work with vendors and partners who consistently deliver quality solutions because quality counts. Because we are specialized in site construction and have vast experience performing our services, EHC has developed processes and procedures for many if not the majority of the types of scenarios that can occur on a project. As we encounter obstacles and develop solutions, we document best practices and standardize our processes and procedures for those scenarios or similar scenarios. We have become quite diverse in our problem-solving to remove obstacles before they even occur for our clients. Our proven processes and procedures allow us to be more structured, efficient, productive which ultimately saves you time, resources and money. Throughout our years in the construction industry and region, we have maintained long-standing relationships with our preferred vendors, partners and clients. Our reputation, relationships and experience provide EHC with the opportunity to ramp up quickly and efficiently. EHC maximizes technology and resources to improve productivity while delivering quality solutions. 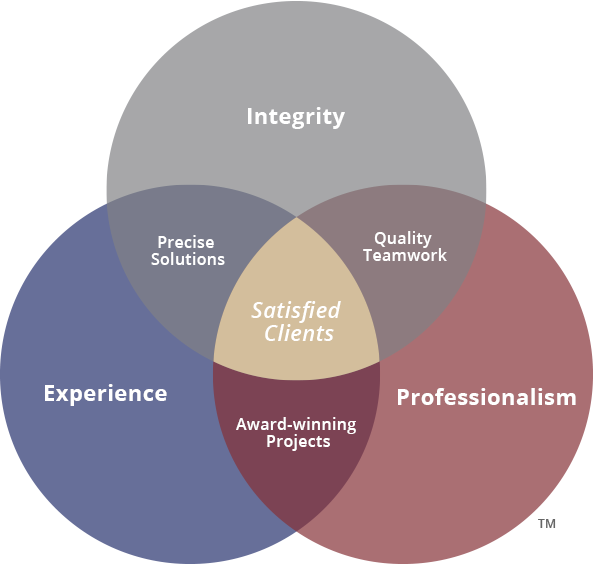 We know what resources to use and when the providing our clients with the caliber of service you deserve – tailored to your needs. When quality counts, contact us today!